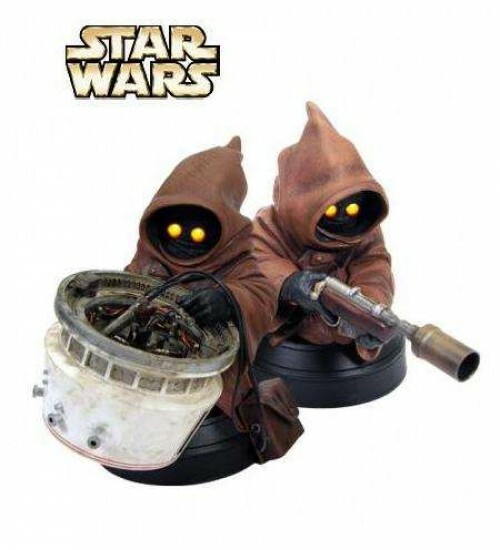 The Jawas set of 2 mini busts with interchangeable arms/guns. 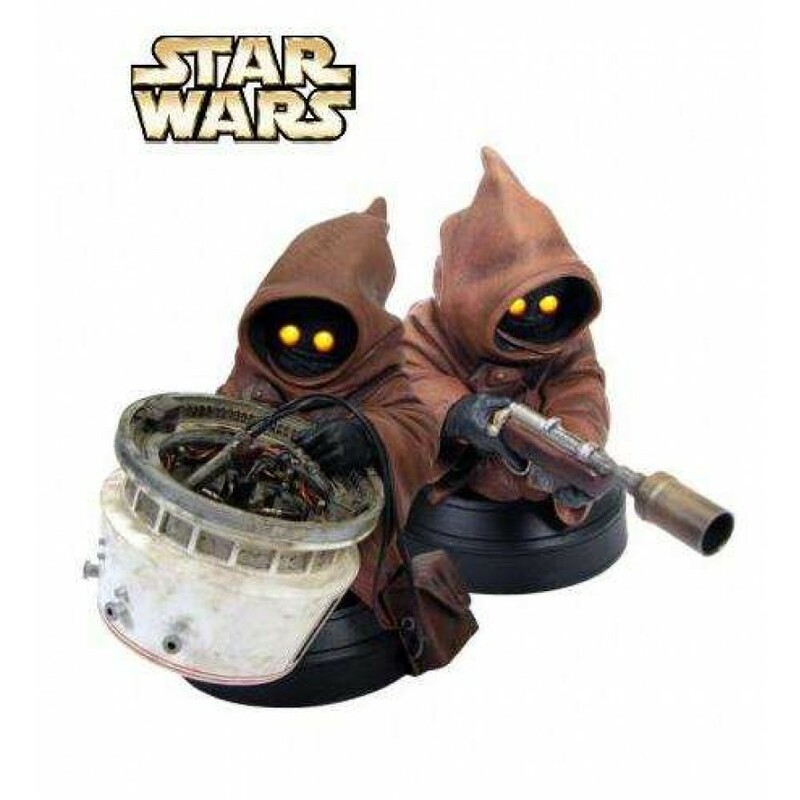 Both Jawas feature light-up eyes, stand 4.75 and 4.25 inches tall. Made of poly-resin and comes with a hand numbered Certificate of Authenticity. Limited Edition by Gentle Giant. Item Number: FX-C1G39071 | Approximate Size (Inches): 6.00 wide x 4.00 deep x 5.00 high | Approximate Shipping Weight: 4.00 lbs.